Recently, the nice people over at www.saal-digital.co.uk asked me to test out and review their wall decors. So please read on to see how I felt about the whole process and final product. Ordering: Saal-Digital offer two methods for ordering, either online through their website, or by using their downloadable software. I chose to use their free software as it allows for more detailed design options. The software was very easy to use and has many useful tools for designing your print. Although there are lots of options when deigning your wall decor, it is still a very simple process if you want it to be. They also make it very easy to create a custom sized print if that is what you're after, as I was. 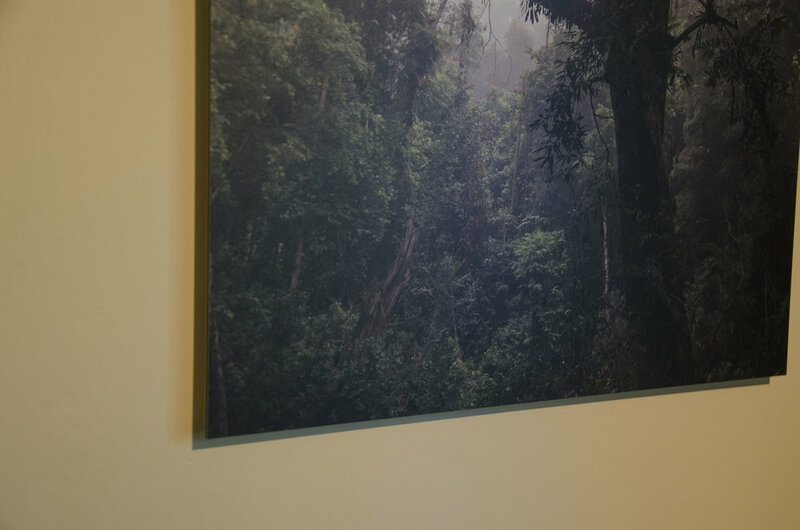 I chose this image of mine, taken in the Malaysian jungle, not only because its one of my personal favourites that I've always wanted to hang on my wall, but also because it will be a good test of the printing capabilities. There are six printing options available from Sale-Digital, I chose to go with the Alu-Dibond material. Having never printed my work on metal before I thought this would be a great opportunity to do so and test out its quality. The print is made up for three layers, two sheets of aluminium with a polyethylene centre. This medium is typically very sturdy and long-lasting and is useable indoors or out. Delivery: Shipment of my order was very quick. The print was shipped the day after I placed my order and it arrived within the five days I was quoted. I was happy with this considering the company is located in Germany. The package had sustained some damage in transit, however the print itself was very well protected and was totally undamaged. Product: Now for the really important bit. Overall I am very impressed with the quality of the print, in fact I'm finding it difficult to come up with any criticisms. The image I chose to print has quite a tonal range and some subtle colours that have all been reproduced very well. The print is representative of my original image in terms of colour and it looks great on the Alu-Dibond material, which is also very strong and sturdy just as advertised. 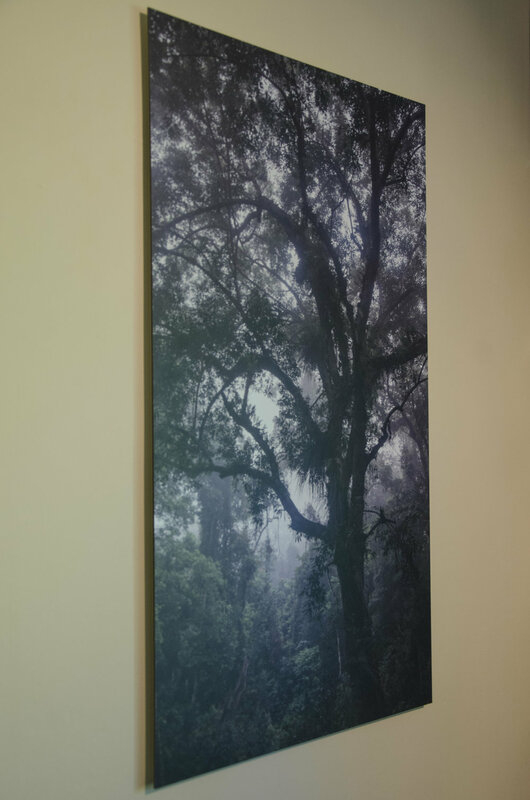 I chose to go with the aluminium subframe mounting option, an optional extra which came prefixed to the back of the wall decor and was very simple to hang, requiring just two screws in the wall. The subframe also gives a 'floating' look which I am a big fan of. Please see some photos of the print below, but do bear in mind that they won't do it justice! Value: The total price of this order came to just under £70, that includes the 70cm x 40cm print, aluminium subframe and delivery. Compared with other companies who offer similar products I feel this is a very competitive price and definitely good value for the quality. Thank you Saal-Digital! I look forward to using your services again in the future!